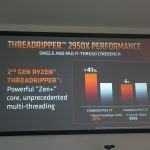 At Computex in June, AMD gave us a brief tease of what to expect from 2nd Gen Threadripper with the announcement of a top-end 32C/64T version. Now we’ve made it to the official launch, with all of the details on specs and pricing laid out. 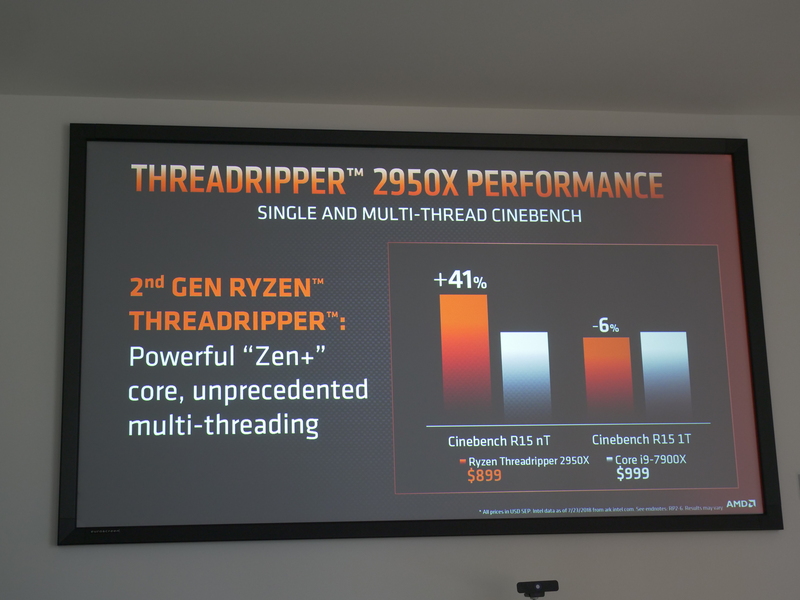 At a briefing in London last week, we learned that AMD’s 32C/64T Threadripper has been planned for a long time. 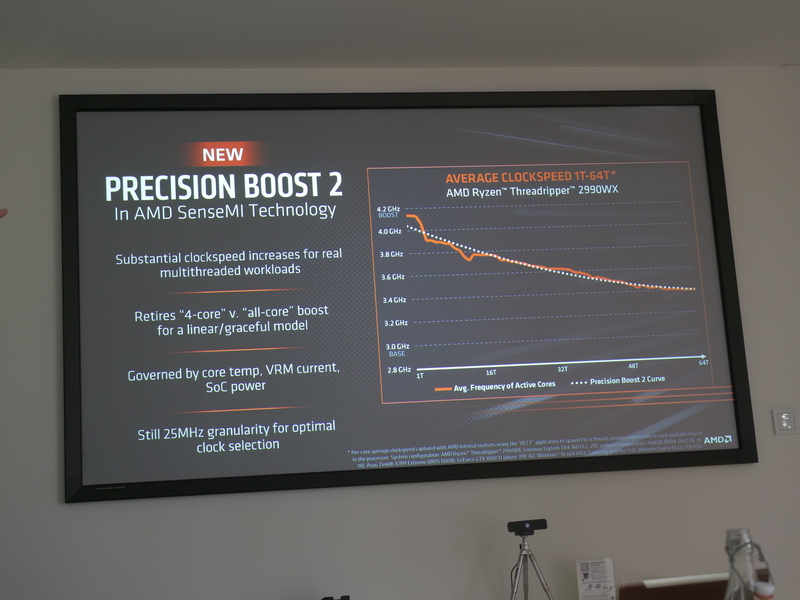 However, the team required the 12nm process and 2nd Gen Boost algorithm to get it up to standard. 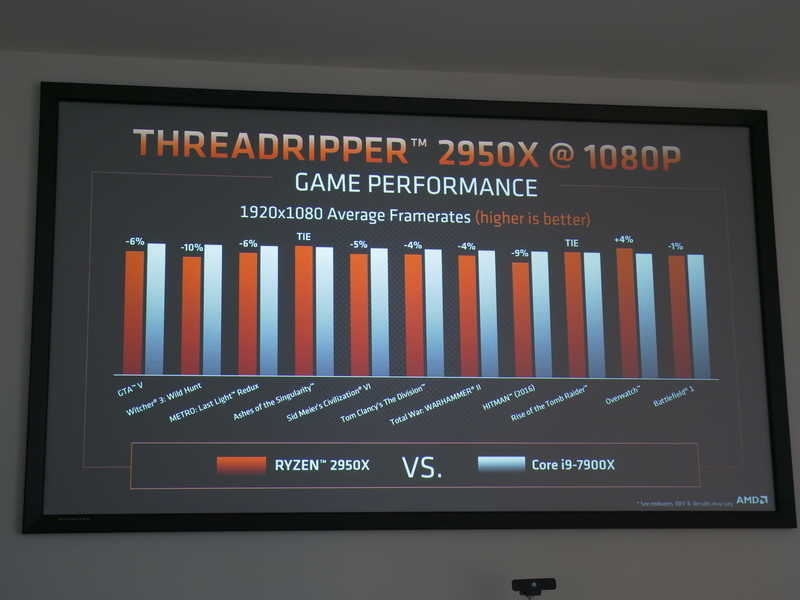 Performance scales with TDP, shown by the jump from 180W on the Threadripper 1950X to 250W on Threadripper 2990WX. The keen-eyed amongst you will have noticed the new ‘WX’ branding. 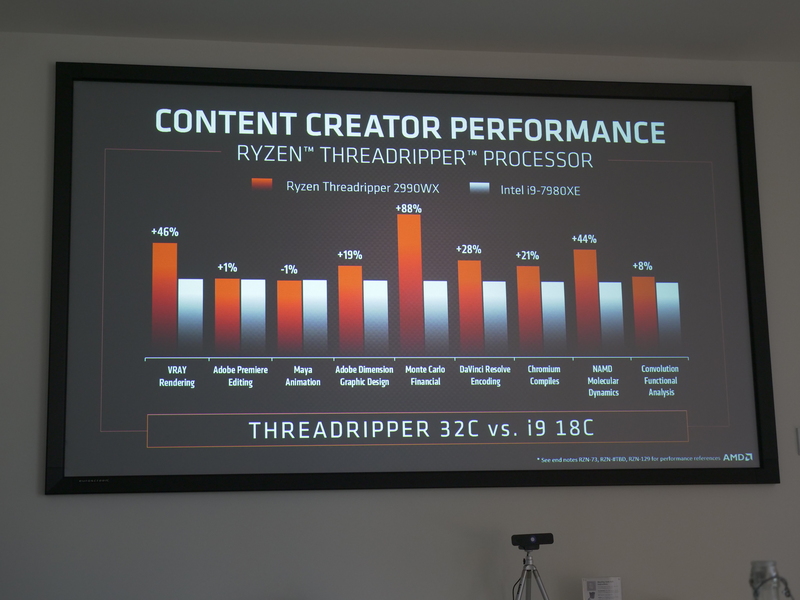 Threadripper 2nd Gen is split into two groups, with the ‘X’ series covering the 12C/24T 2920X and the 16C/32T 2950X. 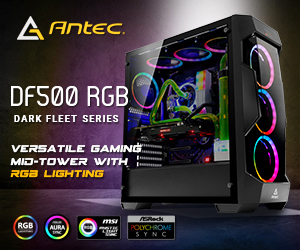 The new WX series is geared towards workstations. 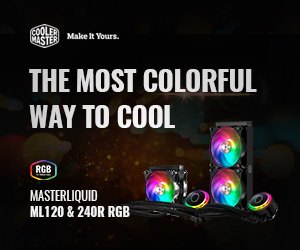 This includes the 24C/48T 2970WX and the 32C/64T 2990WX. 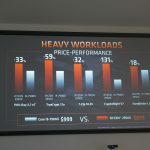 From what we know so far, the X series Threadripper 2nd Gen chips use two dies, meanwhile the WX series will have four dies. 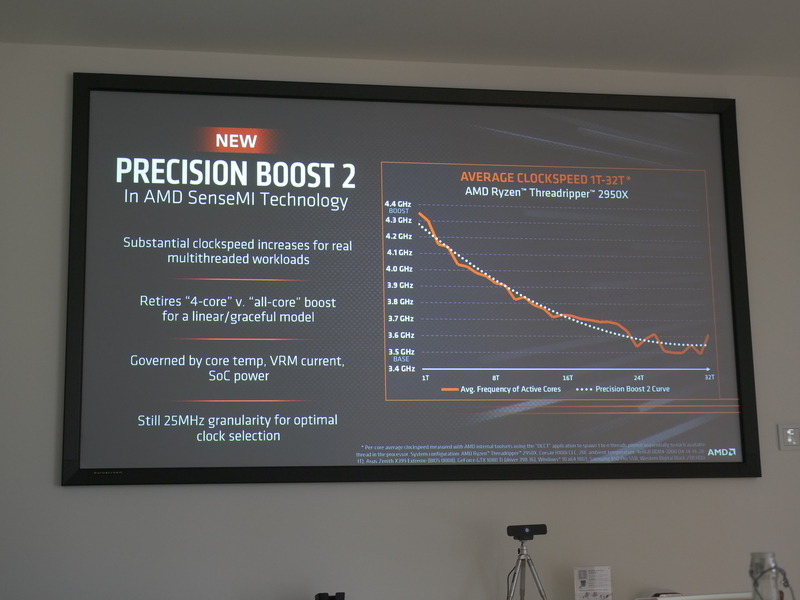 We don’t have official shipping dates from AMD yet, but right now the 2990WX is estimated to ship in mid-August, with the 2950X shipping before the end of the month. The remaining two SKUs should then begin going out in October. 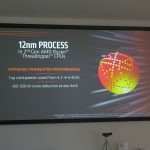 According to AMD’s presentation, Threadripper 2nd Gen will have up to 15 percent better L3 cache latency, up to 9 percent better L2 cache latency, up to 8 percent better L1 cache latency and up to 2 percent better memory latency compared to 1st Gen. Top clock speeds have been raised from 4.2GHz to 4.4GHz, and a 80-120mV vcore reduction is in place at any clock. Precision Boost 2 is in place, which scales boost clock speeds linearly in chunks of 25MHz. 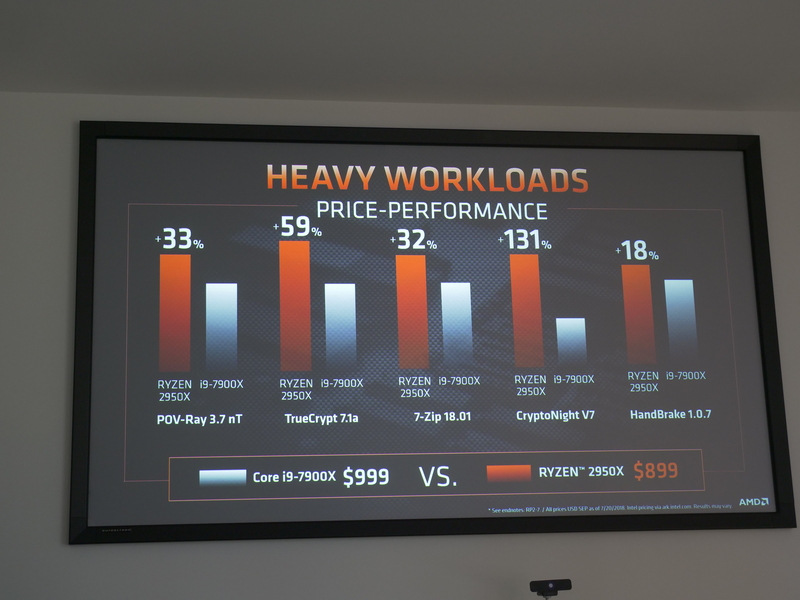 Boost clocks are relative to temperatures, on first generation Ryzen 7, you would need to keep the CPU below 42°C to enable maximum boost speeds across all cores. 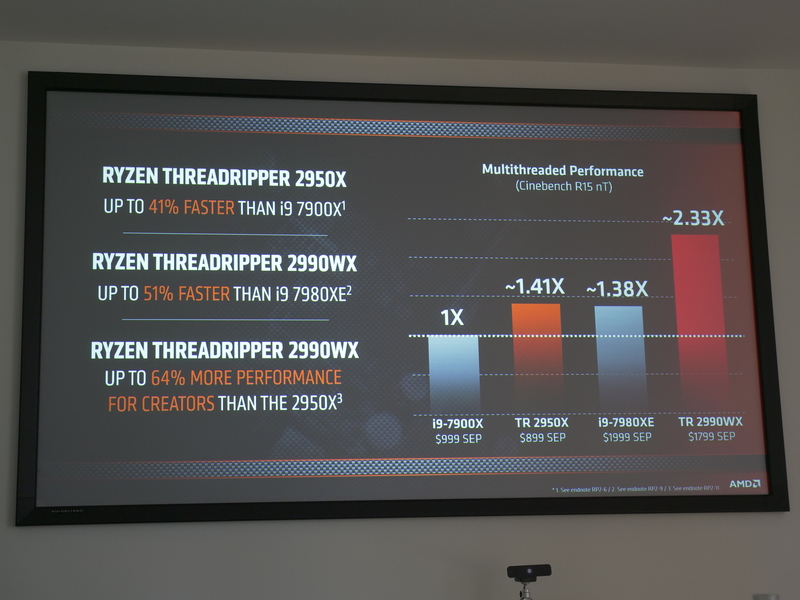 For 2nd Gen Ryzen and Threadripper, the new target temperature is 50°C. 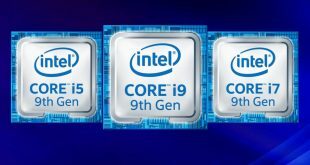 If your processor hits 80°C it will throttle down to base clock speeds, and at 105°C the PC will shut down completely. 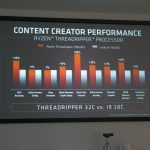 With 1st Gen Threadripper, AMD introduced an 8-core entry level SKU. 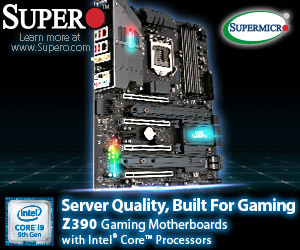 This has now been retired, with the 12-core 2920X being the new entry level. 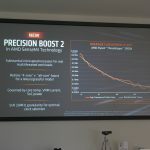 Thanks to the 12nm die shrink, base clock speeds have been improved by 100MHz and boost speeds have been improved by 200MHz. 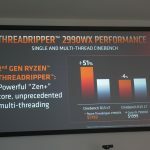 For Threadripper 2nd Gen, AMD will be sticking with the X399 chipset, so the new X series and WX series chips will be compatible with all existing X399 motherboards. BIOS updates will be required though, as was the case when moving from Ryzen 1st Gen to Ryzen 2nd Gen on X370. 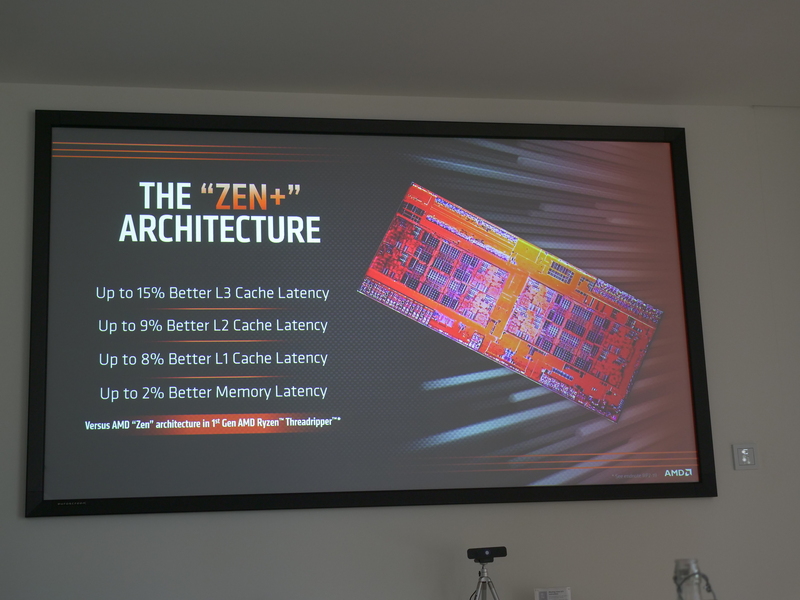 We’ll have to wait for reviews to get final performance metrics, but according to AMD, the 2950X has a similar IPC to the Core i9-7900X. 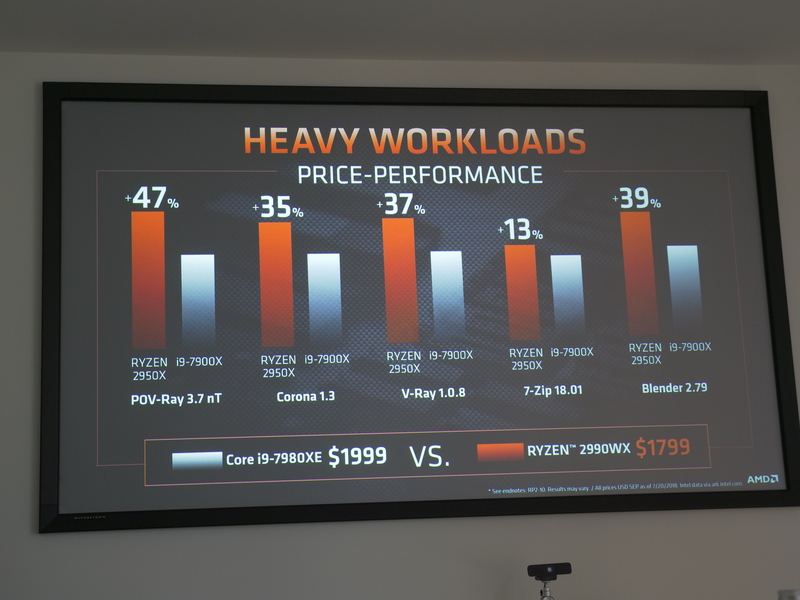 Price to performance is where AMD continues to shine though, with the 2950X ousting the Core i9-7900X in a range of ‘performance per dollar’ tests. 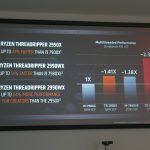 Those looking to switch from a 16C 1950X to a 16C 2950X will be looking at anywhere between a 5-25 percent improvement in performance depending on the software. 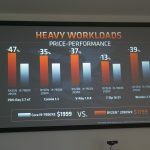 You can see some other performance metrics in the slides above. TR 2920X: $649, 12C/24T, 3.5GHz/4.3GHz. 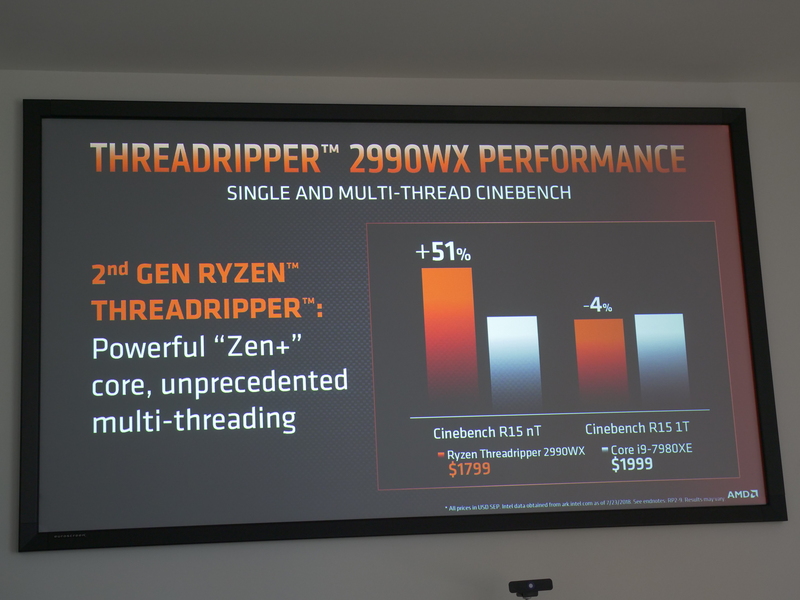 TR 2950X: $899, 16C/32T, 3.5GHz/4.4GHz. 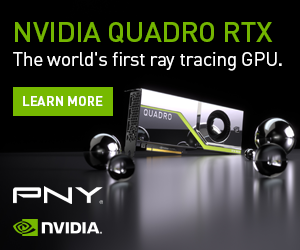 TR 2970WX: $1299, 24C/48T, 3.0GHz/4.2GHz. TR 2990WX: $1799, 32C/64T, 3.0GHz/4.2GHz. In terms of TDP, we are looking at up to 250W for Threadripper WX, and an estimated 150-180W for Threadripper X. 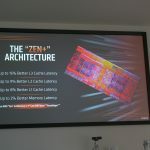 Starting from the 13th of August, anyone with an X399 motherboard will be able to download AMD’s Store MI software for free, allowing you to use an SSD as a cache drive to speed up HDD loading times. 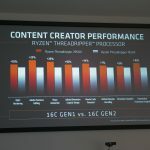 Ryzen Master software has also been updated for Threadripper 2nd Gen. This includes two performance profiles, a ‘game mode’ and a ‘creator mode’. Game mode limits the number of cores in use to eight, while creator mode opens them all up. 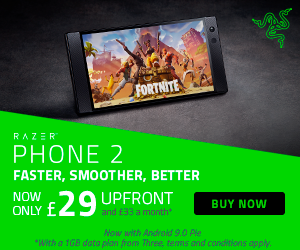 Switching to game mode presumably has some benefits when it comes to temperatures, power usage etc, but we won’t know for sure until we can get one in for testing. 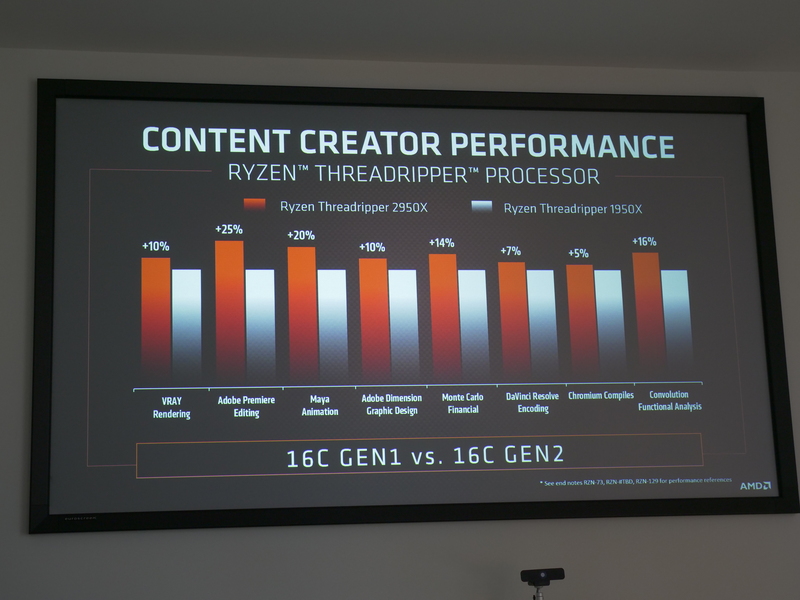 You will be able to pre-order Threadripper 2nd Generation processors starting from today. 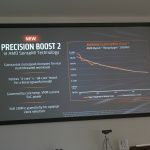 This includes the flagship 2990WX, which is already up on Overclockers UK. 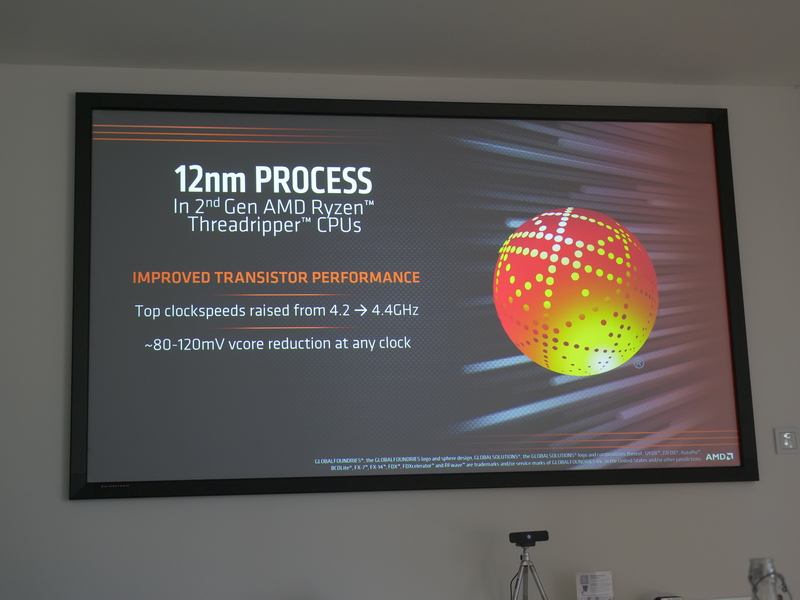 If you want to hear more about Threadripper 2nd Gen, then you can check out the latest episode of LEO Says, HERE. 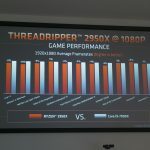 KitGuru Says: Threadripper 2nd Gen has officially arrived. It’ll be a little while before reviews land, but on paper, things are looking interesting. Are any of you thinking about upgrading to a 2nd Gen Threadripper processor? Which one would you like to go for?